When I was a little girl I would take my books and journals into the woods. There was this magical spot with wild grapes, thick vines, blackberries, and a mossy floor to lie upon. I didn't need much more that this setting and words on a page. In this spot, I could be anywhere, in any time. Sometimes I was an Indian (I had not learned to say "Native American" yet) living off the land and other times I was Laura Ingalls Wilder searching the prairie for beauty. I had a creek for water and it was filled with crawfish. 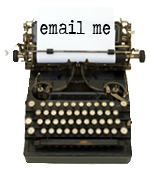 I would pop the wild grapes and berries into my mouth as I read about things like drying meat for pemmican. Sometimes I made fairy salad with bits of things I knew were edible. Violet flowers, mint leaves, dandelion, and what I called "fairy bells", but now know as wood sorrel. It's a delicate yet decadent mix while on a mossy carpet with a daisy crown upon your head. I no longer live near the magical spot but the taste of wood sorrel always reminds me of carefree days of unbridled imagination where I made bouquets of lilacs, daisies, and violets. 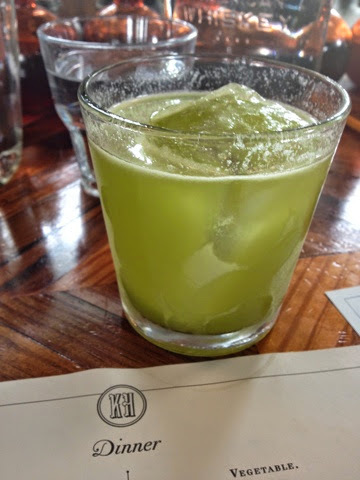 So yesterday when Miles Macquarrie handed me a chartreuse-colored cocktail with pureed sorrel called The Fresh Cut, I became Laura Ingalls and squealed "sorrel tastes like springtime!" 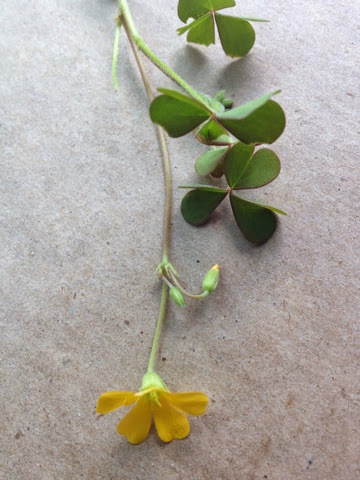 Wood sorrel is of the genus Oxalis, meaning "sour." A first nibble of wood sorrel tastes pleasantly tart and lemony with a slight feeling of what I call "spinach tongue," that sticky, weird feeling caused by oxalic acid. Raw or cooked, wood sorrel is bright and fresh. 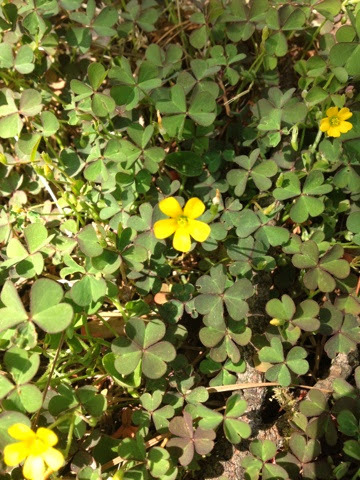 Wood sorrel grows from mid-spring to fall in shady areas of undergrowth. It consists of three heart-shaped leaves on a slim stem and is often confused with clover, which has oval-shaped leaves. The leaves can be green, red, or purple but always grow three to a stem. Flowers can be yellow, white, or pink. The creeping perennial is dainty with long, slender stems that only fully extend in the shade. Sorrel is so delicate that the leaves fold in when in direct sunlight or during storms and the leaves and flowers close up when it is dark. 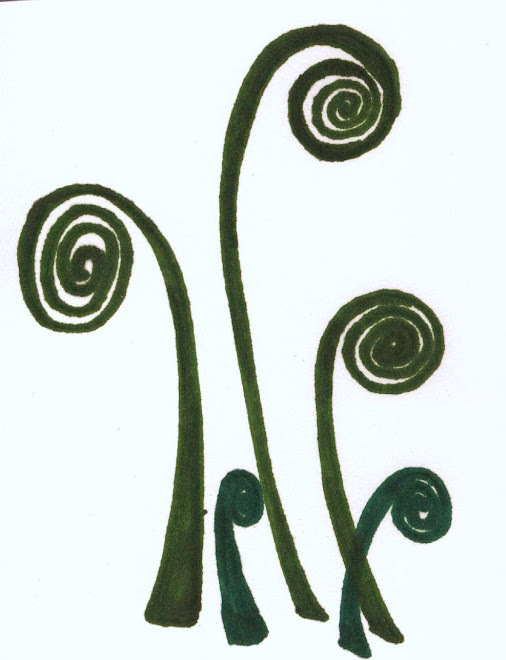 All parts of wood sorrel are edible: leaves, stems, flowers, and seed pods (which I called "fairy bananas" as a child). There are no poisonous look-alikes but those with kidney problems or gout should avoid eating because of the high oxalic acid content. Wood sorrel is high in vitamin c, potassium, and a great source of iron. Many have sojourned into the woods for sorrel to cleanse their bodies of heavy metals. I just think it tastes delicious. It is great raw in salads, almost eliminating the need for dressing with its zing. The leaves are wonderful in smoothies or as a pot herb. To make a lemony tea: pour boiling water over leaves and flowers and let steep for a few minutes. Mmm spring. "A year is made up of a certain series and number of sensations and thoughts which have their language in nature. Now I am ice, now I am sorrel." Oxalic acid actually binds to heavy metals but it deposits them deep into your tissues, where they get stuck. So its not a good idea to eat high oxalate foods if you have a heavy metal problem.